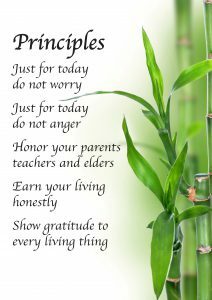 A postcard size ‘Principles’ magnet is now available to Teachers at a cost of 50c each. A minimum order of 20 units is required. Postage is additional to all members. Please pay via ‘Add to Cart’ buttons below and email your order and delivery address to chairperson@reikiassociationwa.com who will organise the parcel.